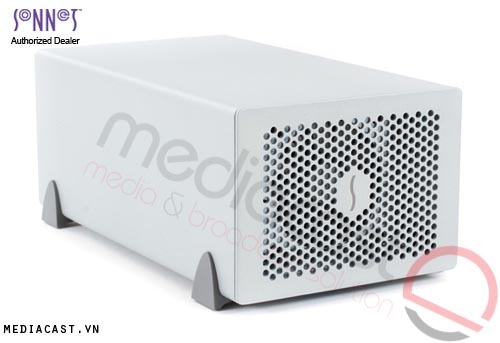 The xMac mini Server from Sonnet allows you to take full advantage of a Mac mini. The Mac mini's compact size and form factor can limit its potential because it does not provide slots for PCIe expansion cards. 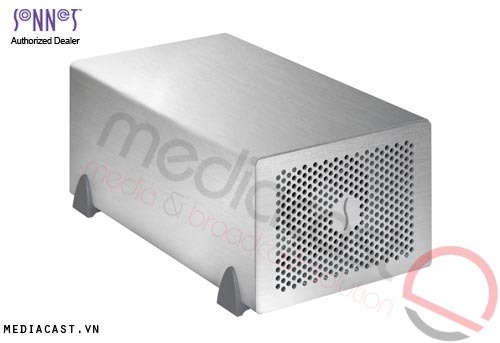 With the xMac mini server, you'll be able to improve and add PCIe expansion cards through the Thunderbolt ports. 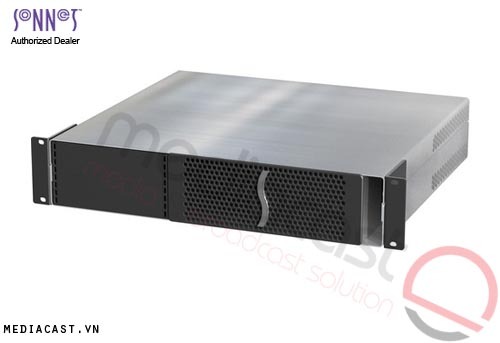 Sonnet used the RackMac mini 1U rackmount enclosure as a template to create a specially-designed 1U rack enclosure to securely house the Mac mini with strategic airflow cooling. 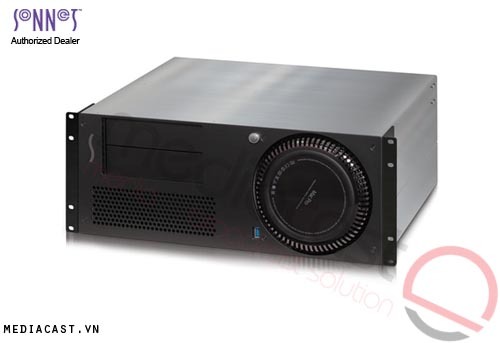 Inspired by their Echo Express line of Thunderbolt-to-PCIe card expansion systems, Sonnet added two PCIe 2.0 expansion slots with an integrated power supply and built-in fans that connect to the Mac mini via its Thunderbolt port. 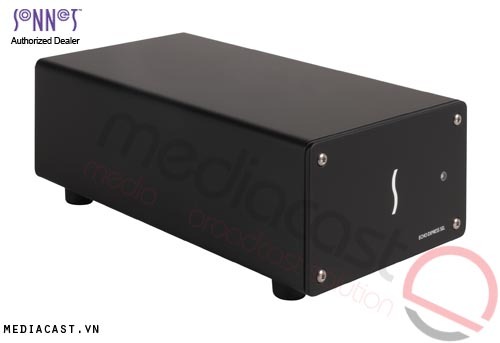 Another Thunderbolt port is added for daisy chaining to other Thunderbolt devices. 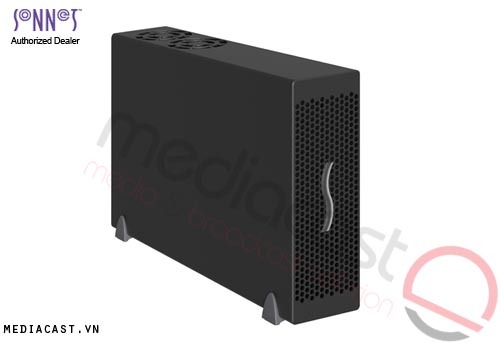 For added convenience, the front panel provides a USB 3.0 port and a power button while other Mac mini interface ports are extended to the back of the chassis and mounted on the rear for convenient interfacing with Gigabit Ethernet, HDMI, and two more USB 3.0 ports. 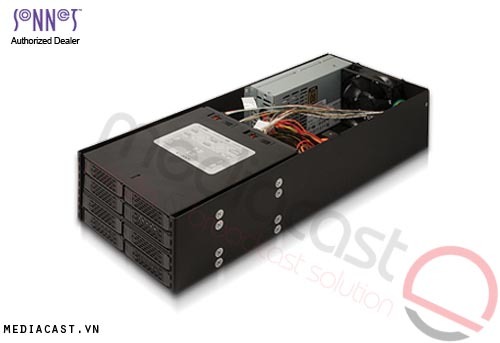 The PCIe expansion slots power on and off in unison with the Mac mini. 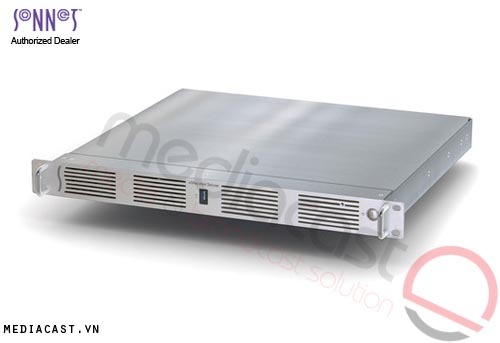 To support a wide range of popular mobile racks, carts, and portable rack cases, the xMac mini Server is just 17.75" deep. Box Dimensions (LxWxH) 23.1 x 23.1 x 6.8"